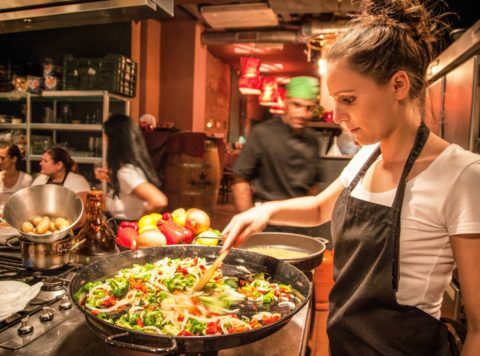 Paella, the world famous Spanish dish that we all know and love, and now is your time to cook it! 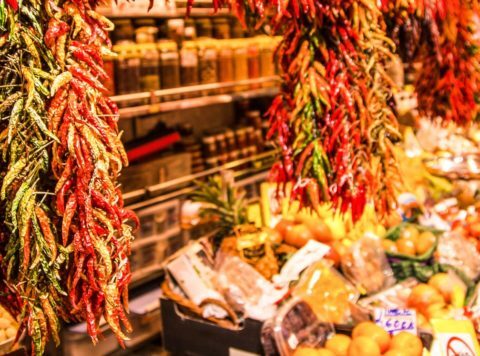 A fun and delicious experience, this interactive cooking workshop is one of highest recommended experiences. 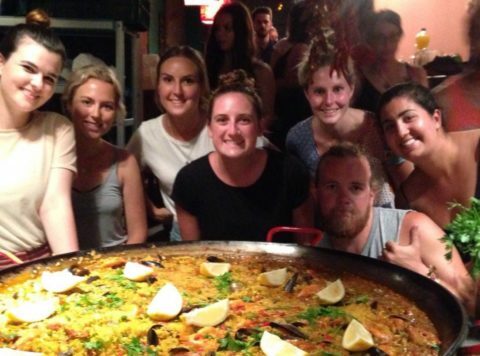 It combines tasty local tapas, delicious Sangria and fresh Seafood Paella. 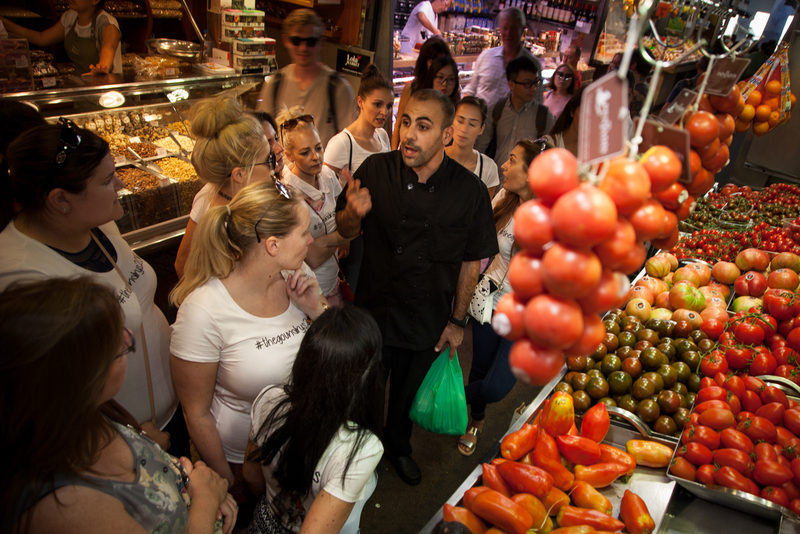 Meet a local chef who will take you on a guided tour of the famous La Boqueria Market, before the cooking begins. From here your private chef will lead you inside a large fully equipped cooking and dining space. 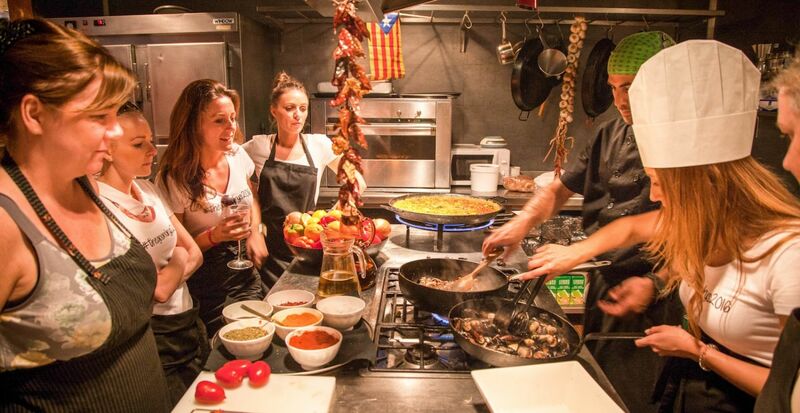 Then begins the culinary course that delivers all the right ingredients to a memorable night in Barcelona. 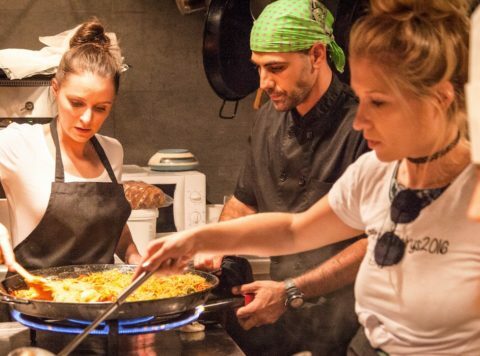 As you help the chef prepare the paella, they will give you all the facts and history of the dish. 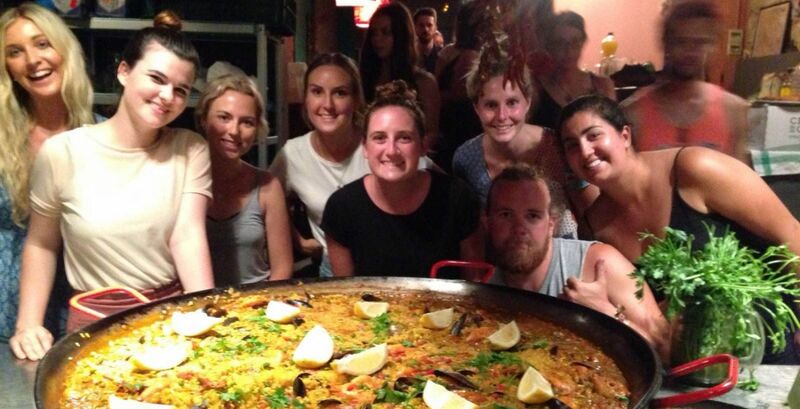 But best of all, you will also be given some local sangria and tapas while you wait for the main course! 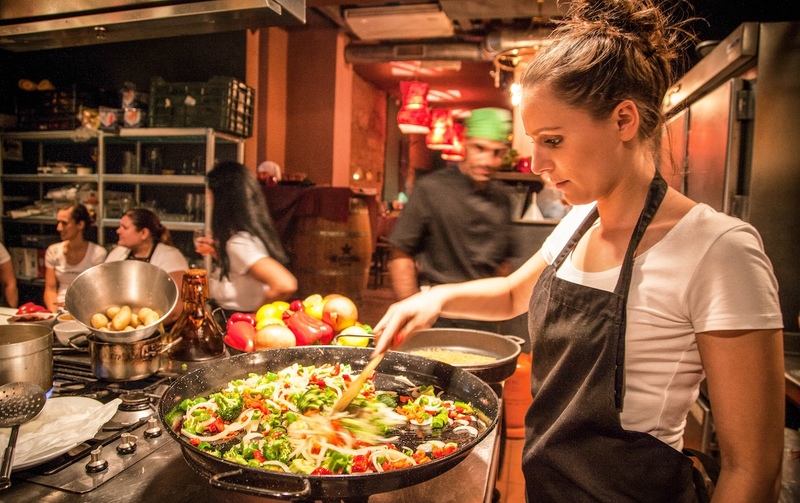 Paella is best fresh, and it could not be more so when cooked by yourself. All slowly cooked with love, the satisfaction of your group will be at extreme levels. 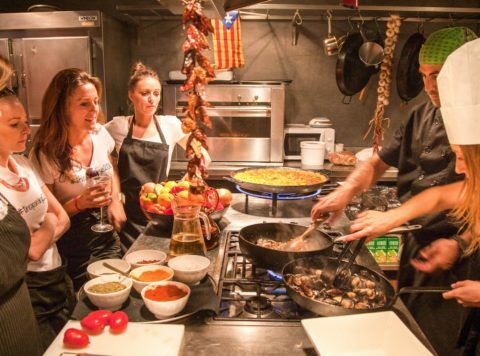 So book The Paella Cooking Experience and see how it is the perfect start to a great night out in Barcelona! The meeting point is inside Travel Bar, just off to Las Ramblas on the street leading away from the Míro mosaic and the Chinese dragon.